Michelle Wilson believes the ability to think outside the box is one of the best skills clinicians can have for their patients. Michelle was awarded a Fund for New Research grant in 2016 for her ovarian cancer study NEO. My week is split between the hospital and the university. That allows me to balance my clinical and research interests. At the hospital my focus is on the care of patients with gynaecological cancers and also phase 1 clinical trials. Since returning from my fellowship, my focus has been on establishing the foundations and systems which will help improve our ability to bring research to the clinic. As part of this we have established our tissue bank and a molecular profiling program for our gynaecological cancer patients. We have an excellent multi-disciplinary clinical team at Auckland, which has helped us to develop and move these projects forward. The NEO study is a novel phase 2 clinical trial which integrates a window of opportunity design with a mix of translational end-points. NEO aims to develop a signature to work out how we can better match patients to treatments earlier, so we can avoid ineffective therapies and importantly identify which patient may be able to avoid chemotherapy. Ultimately, this design will help us improve outcomes by better understanding the biology of the disease and response to treatment. NEO targets a very select group of patients, and compares one of our new targeted drugs, olaparib, with chemotherapy after surgery. The benefits we have seen with olaparib particularly in patients with a BRCA mutation, has got us all very excited about the role it has to play in the management of patients and the impact it will have on the outcomes. My involvement with Neo has created opportunities for me to learn and collaborate with different people and their teams internationally, drawing on their multidisciplinary expertise. Designing NEO was an integral part of my fellowship in Toronto and has formed part of the backbone to my MD. NEO reinforces to me the need for us to challenge classical trial design to help improve patient outcomes and shift the paradigm of patient care. The opportunity to be involved in NEO from the initial concept to now opening the trial has been great and I’ve learnt so much. To be able to bring this trial back from Toronto to open is Auckland is fantastic. Ongoing collaborations with the team at Princess Margaret has helped create opportunities for us to do more research together and for us in Auckland to open more investigator initiated research. I feel very lucky to have had this opportunity to be able to continue to work on this study which I am passionate about. What research questions really inspire you? I am interested in the barriers to clinical trials in New Zealand and how we overcome them. I believe research is such a key part of moving forward in gynaecological oncology. The limited improvements in patient outcomes we have seen over the past 20 years is what makes this area so frustrating, but also highlight how much we can do. There is so much potential for us to make a difference at each step in the patients journey. This is not only in terms of treatment options but in all aspects of care such as genetic testing, and survivorship. ANZGOG has projects tackling all of these aspects which highlights their focus on patient-centred care. Pushing all these initiatives forward is going to bring the biggest improvements for our patients. It is an exciting area to be working in. What does it mean for you to be a member of ANZGOG? ANZGOG is a fantastic collaborative group which invests in its members. I was very lucky to receive the funding for NEO from the New Research grant last year. Without it we would not have been able to contemplate opening the study in Auckland and excitingly now we are at the point we are about to open. Without ANZGOG I wouldn’t have had half as many opportunities as I’ve had in my career. Some of the things membership has allowed me to do have been some of the most memorable things to date. The opportunities ANZGOG has given me have been phenomenal. The opportunity to participate in the ovarian cancer consensus committee in Tokyo on behalf of ANZGOG showed me how much is being done internationally in research and how much more we can do. It’s the people who believe in you that help you continue to develop as a clinician researcher and foster your love for research. What inspired you to pursue gynaecological oncology? For me it is the people – particularly our patients we look after and our interactions with them – it is such a privileged position. Even on the days where you feel things have not gone as planned, what we do achieve is greater than we often acknowledge and realise. The impact we can have on the patients’ journey is so much more than we often recognise. The ability to think outside the box is one of the best skills we can have for our patients. I’m inspired to bring research to the patient and make it a key part of their care – not an optional part but a standard part of what we have available for them. You can’t do this without a good team. Having the support of your clinical team and the wider research team is critical. This is what gives you the ability to make these changes for the better and continually push the limits of what we do for our patients. 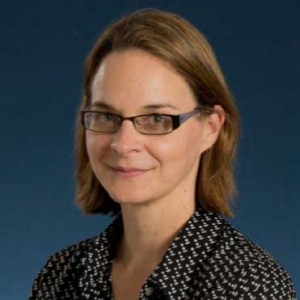 Michelle Wilson is a Medical Oncologist at Auckland City Hospital and also a Clinical Senior Research Fellow at the University of Auckland, New Zealand.